This event will include vehicle exhibits and a workshop featuring a panel of experts who will discuss clean transportation choices using fuels available in West Virginia, which will drive growth in the economy and help make the EARTH a cleaner, healthier, and more prosperous place to live for generations to come. The event is open to the public. *Vehicle displays will be available from 10:00am to 4:00pm at the North Circle of the Capitol Complex. It is only necessary to register if planning to attend the workshop. Unstable fuel prices, coupled with concerns for the environment and air quality, have led many Americans to seek information about alternatives to gasoline, diesel fuel, and other petroleum-based products. The National AFV Day Odyssey at the Capitol workshop and vehicle display will provide attendees with information about AFVs and associated infrastructure. Attend to find out why these vehicles play such an important role in our nation’s energy security and cleaner environment. We will also discuss key information needed by fleet managers to transition their fleets to alternative fuel vehicles and will hear from those who are bringing AFV infrastructure to the public, along with consumers and fleets who are using the vehicles. Energy experts gather annually to participate in the energy summit which is sponsored by the West Virginia Governor’s Office, the West Virginia Department of Commerce and the Southern States Energy Board. The 2014 Governor Tomblin’s Energy Summit was held at the Stonewall Resort in Roanoke, WV and featured two days of speakers from all aspects of energy, including alternative fuels, mining, and responsible resource usage. 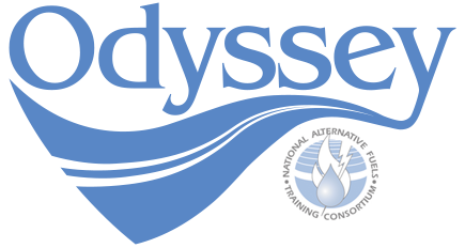 The National Alternative Fuels Training Consortium presented on Odyssey, providing information about the current state of alternative fuels.